Artistic knowledge and expression are vital components of an experiential education. The artistic process engenders creative thinking and problem-solving abilities, promotes interpersonal skills, and develops aesthetic expression and emotional sensitivity in students. 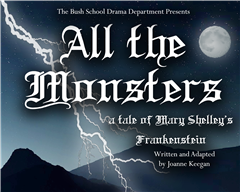 Drama, music, and visual arts are a core part of the curriculum in all three divisions of the school. 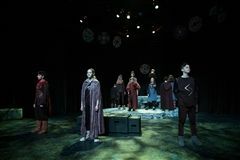 Faculty strive every day to impart knowledge, expertise, and creative passions, the benefits of which are reflected in the quality art work and musical and theatrical productions showcased on campus and in the community at large. 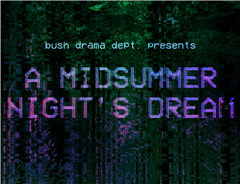 The Bush Upper School Drama Department closed a successful run of Shakespeare’s A Midsummer Night’s Dream. The performances by the cast were superb, and the set, sound, costume, and prop designs were stunning. Thank you to the cast and crew for all of your hard work on this production. To see photographs of this wonderful show, click here. 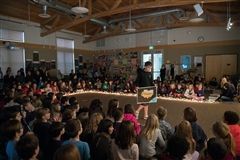 At a recent Lower School Friday Morning Meeting, Fifth Grade students presented their Archimusic paintings in the form of performance art. Their favorite songs played as they brought their finished designs to the runway. Archimusic is a combination of architecture and music. It was created by the Italian architect and illustrator Federico Babina, who took twenty-seven popular songs from Nirvana, John Coltrane, and The Beatles and transformed them to make cartoon-like buildings. Students have worked on this project since November. First, students picked one of their favorite songs as their inspiration for their architectural drawing. Then, they discussed architecture. Students brainstormed about the styles of architecture they saw around Seattle and throughout the country. Finally, it came time to sketch out their ideas. The biggest challenge for the students was to make their buildings appear three dimensional and realistic. After transferring their sketches to canvas paper, they began to paint. Using acrylics, students painted their architectural buildings to bring out the mood of their music through the colors they chose. This annual project is always a lot of fun! You can see photographs from their presentation here. 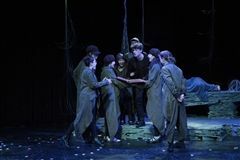 A Midsummer Night's Dream is one of Shakespeare’s most beloved shows because its humor and language remain so accessible and enjoyable today. 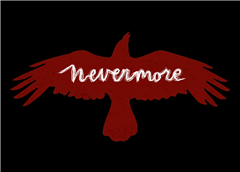 If you’ve never seen or never enjoyed Shakespeare before, this is the show for you! 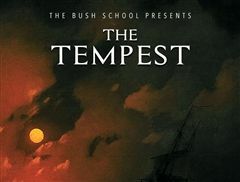 The students of the Bush Upper School have created a beautiful play that is fast, engaging, and hilarious. 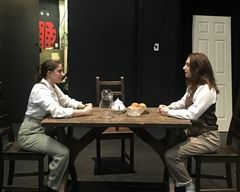 Celebrate the start of the spring drama season with a play that will delight and entertain you! 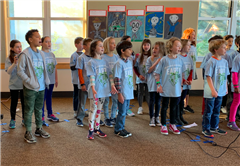 The Bush Lower School Choir, consisting of students in Third, Fourth, and Fifth Grades, performed for parents on Wednesday, March 6 as well as at a student and staff meeting earlier in the week. 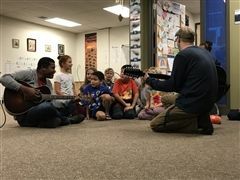 Led by Lower School Music Teacher Julia Sarewitz, students sang beautiful songs about Earth. Watch their student assembly performance here. Bush is pleased to host the Middle School Media Festival, open to middle school students from all over the northwest region. 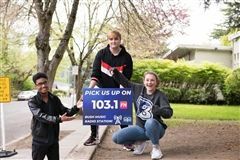 Since 2011, the Festival has brought together middle school students as creative colleagues to support and celebrate each others' work at an annual screening and gallery in the spring. 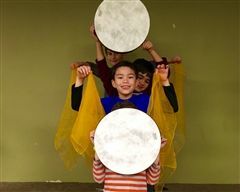 The K-12 Arts Festival on Friday, April 13, celebrated the role of the lantern in Chinese culture family groups. Family groups at Bush are gatherings of students and faculty from all divisions—Lower School, Middle School, Upper School, teachers, and non-teaching staff—created to build more K-12 relationships. The afternoon brought the community together to problem-solve, culminating in the creation of bright, joyful lanterns hung around campus. 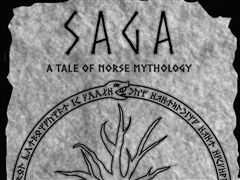 Updated 7/20/2018 to include the 2018 summer play. 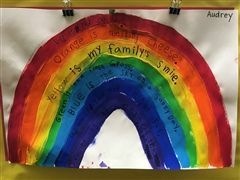 In paintings, Kindergarten students describe the colors of the rainbow. Bonus photos: math games and going to recess! On Tuesday, May 2, over forty Middle School students presented individual poems that they had written. 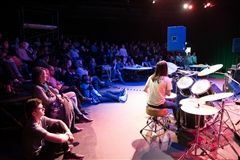 Inspiration for the poems came from classroom assignments as well as students' individual interests in music and spoken word. In addition to poetry, a Middle School E-lective group played two pieces with the steelpan (steel drum) ensemble. Congratulations to all student presenters!